To quickly and efficiently make calculations, simplify mathematical expressions. To do this, use mathematical relationships to make the expression shorter and the calculation is simplified. If the terms are monomials with the same multipliers, find the sum of coefficients in front of them and multiply by a common set of multipliers. For example, if you have the expression 2•a-4•a+5•a+a=(2-4+5+1)∙a=4∙a. To simplify expressions, use formulas of reduced multiplication. The most popular include the squared difference, difference of squares, difference and sum of cubes. For example, if there is an expression 256-384+144, visualize it as 162-2•16•12+122=(16-12)2=42=16. In that case, if the expression is a natural fraction, select from the numerator and denominator a common factor and reduce a fraction on it. 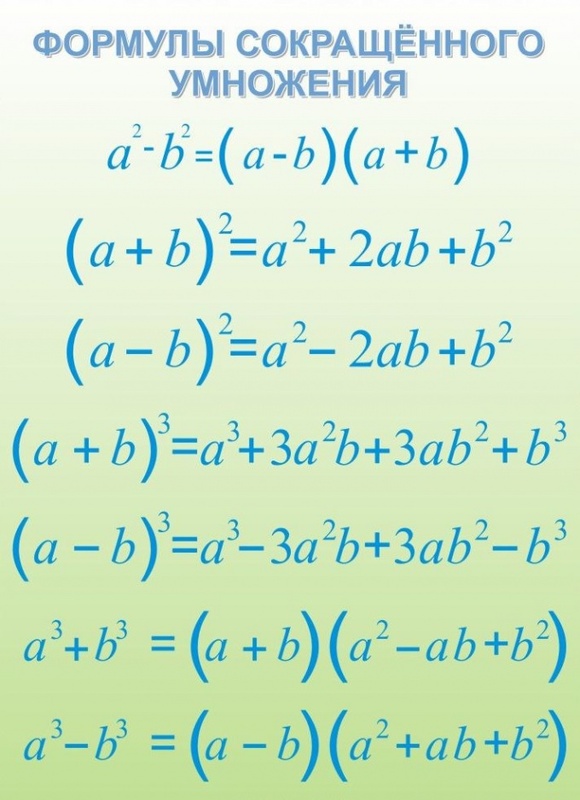 For example, if you need to reduce the fraction (3•a2-6•a•b+3•b2)/(6∙a2-6∙b2), take out from the numerator and denominator for common factors in the numerator it will be 3 in denominator of 6. Get the expression (3•(a2-2•a•b+b2))/(6∙(a2-b2)). Reduce the numerator and the denominator by 3 and apply to the remaining expressions are formulas of reduced multiplication. The numerator is the squared difference, and for the denominator a difference of squares. 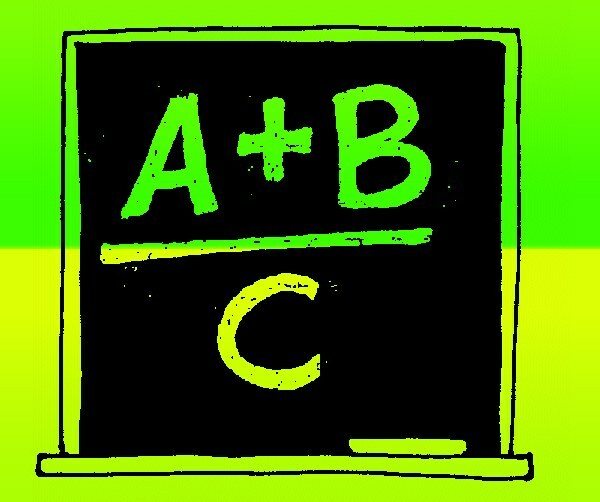 Get the expression (a-b)2/(2∙ (a+b)∙(a-b)) reducing it by a common factor a-b, obtain an expression (a-b)/(2∙ (a+b)), which, when specific values of the variables is much easier to calculate. If the monomials have the same multiplier raised to a power, that when they are totaled, ensure the degree was equal, otherwise impossible to reduce these. For example, if you have the expression 2∙m2+6•m3-m2-4•m3+7, when such information will m2+2•m3+7. When simplifying trigonometric identities use formulae for their conversion. The main trigonometric identity sin2(x)+cos2(x)=1, sin(x)/cos(x)=tg(x), 1/ tg(x)= ctg(x), the formulas sum and difference of arguments, double, triple, argument and other. For example, (sin(2∙x)- cos(x))/ ctg(x). Shall describe the formula for the double argument and cotangent, as the relationship of cosine to the sine. Get (2∙ sin(x)• cos(x) cos(x))• sin(x)/cos(x). Take out a common factor, cos(x) and simplify the fraction cos(x)•(2∙ sin(x) - 1)• sin(x)/cos(x)= (2∙ sin(x) - 1) • sin(x). 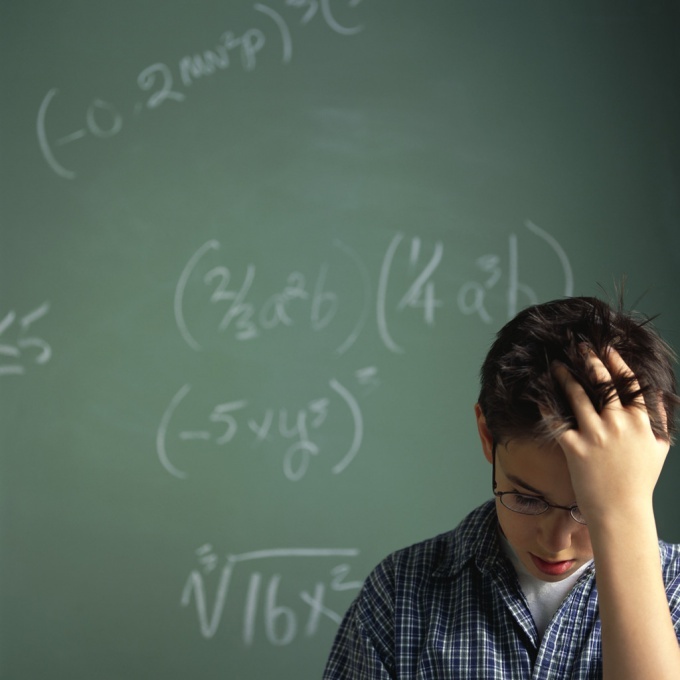 Learn how to simplify expressions in math just need to correctly and quickly solve the tasks, different equations. Simplify the expression implies a reduction in the number of actions, which facilitates the calculation and saves time. Play the polynomials into factors, i.e. imagine them as a product of multiple factors of polynomials and monomials. Take out a common factor of the brackets. Learn the basic formulas of reduced multiplication: the difference of squares, square sums, square differences, sum of cubes, difference of cubes, cube of sum and difference. For example, m^8+2*m^4*n^4+n^8=(m^4)^2+2*m^4*n^4+n^4)^2. These are the basic formulas to simplify expressions. Use the method of separating the complete square trinomial of the form ax^2+bx+c. As often as possible, reduce fractions. For example, (2*a^2*b)/(a^2*b*c)=2/(a*c). But remember that you can cut only the multipliers. If the numerator and denominator of algebraic fractions to multiply by the same number other than zero, then the value of the fraction will not change. To convert a rational expression in two ways: chain and action. The second method is preferable because it is easier to check the results of the intermediate actions. Often in expressions it is necessary to extract the roots. The roots of even degree is extracted from only non-negative expressions or numbers. The roots of an odd degree is retrieved from any expressions. "Expression" in mathematics is usually called the set of arithmetic and algebraic operations with numbers and variables values. By analogy with the format of writing numbers called "fractional" in that case, when it contains a division operation. To fractional expressions as to numbers in the format of fractions, apply the operations of simplification. Start with finding common factor for expressions, standing in the numerator and denominator - this rule is the same for numerical ratios, and for containing the unknown variables. For example, if the numerator is the expression 45*X and the denominator 18*Y, the greatest common factor of the number 9. After this step, the numerator can be written as 9*5*X and the denominator is 9*2*Y. If the expressions in the numerator and denominator contain a combination of basic mathematical operations (multiplication, division, addition and subtraction), you first have to put aside common factor for each of them individually, and then to extract from these numbers the greatest common divisor. For example, for the expression 45*X+180, standing in the numerator, the brackets should make the multiplier 45: 45*X+180 = 45*(X+4). And the expression 18+54*Y in the denominator we need to bring to mind 18*(1+3*Y). Then, as in the previous step, find the greatest common divisor of bracketed multiplier: 45 X+180 / 18+54*Y = 45*(X+4) / 18*(1+3*Y) = 9*5*(X+4) / 9*2*(1+3*Y). In this example, it is also equal nine. Reduce found on the previous steps is a common factor of the expressions in the numerator and denominator. For example, from the first step in the entire operation simplification can be written as: 45*X / 18*Y = 9*5*X / 9*2*Y = 5*X / 2*Y. It is not necessary to simplify reduce common divisor should be a number, it may be an expression containing a variable. For example, if the numerator of the fraction is (4*X + X*Y + 12 + 3*Y) and the denominator (X*Y + 3*Y - 7*X - 21), the greatest common divisor is the expression X+3, which should be reduced to simplify the expression: (4*X + X*Y + 12 + 3*Y) / (X*Y + 3*Y - 7*X - 21) = (X+3)*(4+Y) / (X+3)*(Y-7) = (4+Y) / (Y-7).